Did you know that most orchid flowers you see are actually blooming upside down? That's right, referred to as "resupination," the lower lip of many orchid flowers is actually the top petal and, as the flower develops inside the bud, the whole structure makes a 180° rotation. How and why does this happen? The lip of an orchid flower usually serves to attract pollinators as well as function as a landing pad for them. The flower of an orchid is an incredibly complex organ with an intriguing evolutionary history. Basically, the lip is the most derived structure on the flower and, in most cases, it is the most important structure in initiating pollination. The non-resupinate flowers of the grass pink (Calopogon tuberosus) showing the lip on top. As an orchid flower bud develops, it begins to exhibit gravitropic tendencies, meaning it responds to the pull of gravity. By removing specific floral organs like the column and pollinia, researchers found that they produce special hormones called auxins that tell the developing bud to begin the process of resupination. The ovary starts to twist, causing the flower to stand on its head. Not all orchids exhibit resupinate flowers. Grass pinks (Calopogon tuberosus) famously bloom with the lip pointing up as it does in the early stages of bud development. It is an interesting mechanism and serves to demonstrate the stepwise tendencies that the forces of natural selection and evolution can manifest. But why does it occur at all? What is the evolutionary advantage of resupinate flowers? Not only are Dracula flowers resupinate, many species also face them towards the ground. The most likely answer to this biological twist is that, for orchids, resupination places the lip in such a way that facilitates pollination by whatever the flowers are attracting. 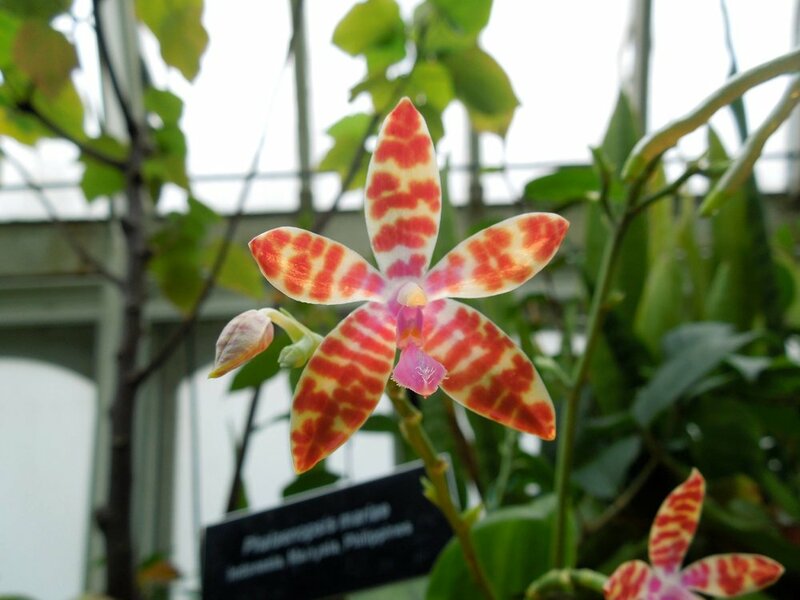 For many orchids, this means providing an elaborate landing strip in the form of the lip. For the grass pinks, which operate by slamming visiting bees downward onto the column to achieve pollination, placing the lip at the top makes more mechanical sense. When a bee visits the upward pointing lip thinking it will find a pollen-rich meal, the lip bend at the base like a hinge. Anything goes in evolution provided the genes are present for selection to act upon and nowhere is this fact more beautifully illustrated than in orchids.